Gazprom Transgaz Stavropol announced the results of its first Best Young Innovator contest. Taking part in the contest were over 140 young employees of the company who submitted 324 innovative proposals to the expert committee. The proposals generated a total economic benefit of over RUB 27 million. The most effective solutions included measures aimed at increasing corrosion resistance of gas pipelines, improving automation processes, and enhancing reliability of gas compressor engines at compressor stations. The winners were selected in absentia. The jury had the following evaluation criteria: number of submitted innovative proposals, the resulting economic benefit, and the value of solutions adopted in industrial processes. 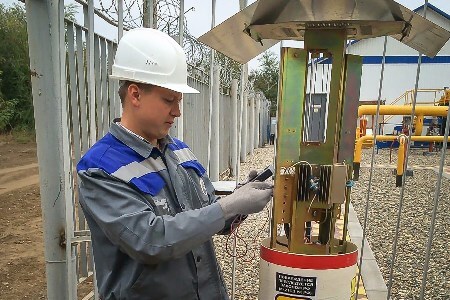 Artyom Mameev, Engineer of the Corrosion Prevention Service at the Svetlogradskoye gas pipeline operation centre, was declared the best young innovator of Gazprom Transgaz Stavropol. Second place went to Anton Saprykin, Engineer of the Instrumentation and Controls Service at the Izobilnenskoye gas pipeline operation centre, and third place to Alexander Bogdanov, Head of the Gas Compressor Service at the Nevinnomysskoye gas pipeline operation centre. The winner, Artyom Mameev, is now going to participate in the second round of the Gazprom’s Best Young Innovator contest.